Be cautious of who you bring into your garage – you never know who is going to be snooping at your belongings! Keep your garage windows frosted, or covered – whether you are home or away, people can peek through your windows to see what’s inside. Garages are a large target for burglary! All it takes is a quick look to entice burglars to come back to your home at a convenient time. Lock it up! 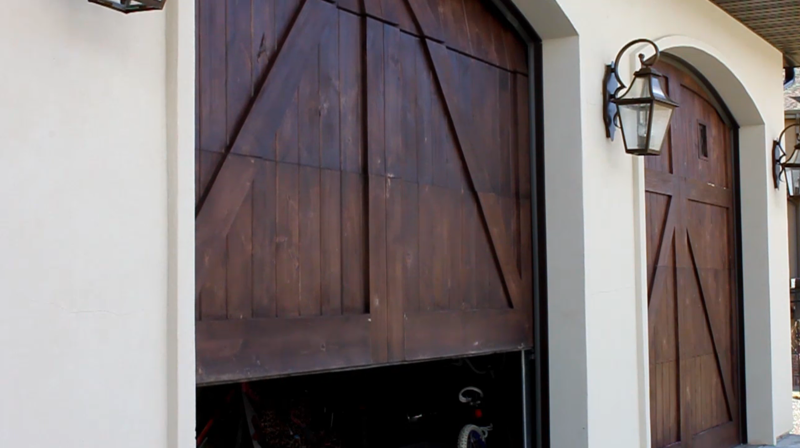 Just because you close your garage door, it doesn’t mean it’s safe! Lock up any valuables (or tools, car parts, helmets, etc.) to keep them protected, and out of sight. Close the doors all the way – how many people do you know that leave a little space between their garage and the ground to let pets in and out? Don’t do it! Skilled burglars can easily push and maneuver doors open just enough to crawl in. Break the habit of leaving garage doors open, no matter how long it may be for – as I mentioned above, when it’s warm out, the majority of us are coming in and out of the garage and we don’t bother closing it in between visits. Lock it up! Even if you are just going on a quick spin on your bike around the neighborhood, you need to take an extra minute to close the door. Consider looking into motion sensor lights – motion lights are an easy, affordable way to add extra protection to your home. Adding some motion lights around your garage will help discourage burglars from picking on your garage. Lock the door leading into your home – again, just because your garage door is closed that doesn’t mean your home is completely safe! Lock the door that leads into your home from your garage – especially at night. Get in the habit of doing a nightly routine to lock and check all the doors of your home. Just like a school or public building, your home needs a late-night security officer! Don’t leave the keys in your car – this one is my favorite yet. Regardless of if your car is stolen, you could have your purse, cash, speakers, ipod, etc. stolen from your care, even during the middle of the day. My husband would be really proud of me for putting this one on the list. We have been working really hard to make this a habit at our home!